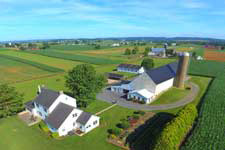 Lancaster, PA Farm Bed and Breakfasts & Amish Farms – Stay on a Farm in 2019! 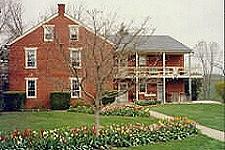 At a bed & breakfast inn (B&B), you spend the night in someone’s home. 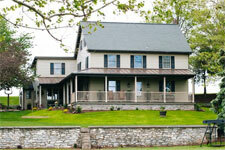 At an Amish Country farm bed & breakfast, you spend the night on someone’s farm! 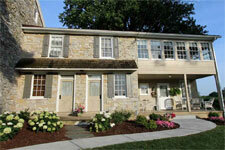 There’s plenty of places to stay on a farm in Lancaster County’s Amish Country! Gather your own eggs for breakfast. Feed the goats or pigs or chickens. Milk a cow or pet a horse. You’ll definitely relax and enjoy the beautiful, peaceful countryside view. Most of the places listed below give you a close-up opportunity to observe the operating farm. Some will even let you or the kids help with the daily chores. 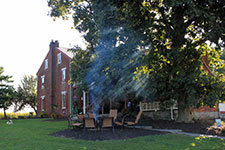 It’s common for the inns/B&Bs to serve breakfast. 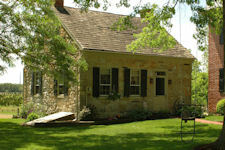 Some farms and guest houses even offer efficiencies or farm cottages for your stay in Amish Country. 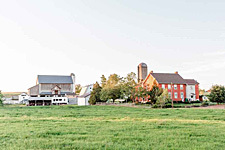 You’ll even come across some places that let you stay on a real Amish farm. 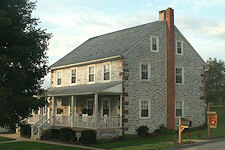 If you’d rather not stay on a farm in Lancaster County, check out our lists of bed and breakfasts and bed and breakfasts with suites (although not all of them are on a farm). Be sure to ask for details beforehand, since each of these farm bed and breakfasts offers different experiences (for example, they’re not all Amish farms). 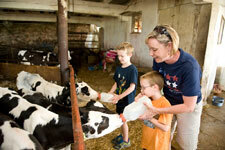 Enjoy a Lancaster country farm stay and create memories with your family right here in PA Dutch Country!